United’s new offerings this summer include Iceland, Portugal, Scotland and Switzerland and the return of nonstop services between six of its U.S. hub cities and popular destinations in Germany, Greece, Ireland, Italy, Spain and Sweden. In addition to offering customers new destinations, including Reykjavik, Iceland, and Porto, Portugal, United will be returning with seasonal service to 25 destinations, including Athens, Greece; Glasgow, Scotland; Madrid and Barcelona, Spain; Rome and Venice, Italy; Shannon, Ireland; and more. This year, United has extended its trans-Atlantic summer route schedule from Chicago, San Francisco and Washington/Dulles, offering flights earlier in the season and operating through October. The airline’s daily seasonal service between Chicago and Edinburgh, Scotland, and between San Francisco and Munich, Germany, begins May 4 and ends October 26, and seasonal service between Chicago and Dublin and between Washington/Dulles and Lisbon, Portugal, started earlier this month and will end October 26. United is also resuming service to many of the Caribbean destinations impacted by hurricanes last year, including St. Maarten and St. Thomas. Earlier this year, United reinstated daily service between New York/Newark and Aguadilla, Puerto Rico, and continues ramping up service to San Juan, Puerto Rico, where United offers up to twice-daily service from New York/Newark and up to daily service between San Juan and Chicago, Houston and Washington, D.C. United currently offers daily service between Washington, D.C., and St. Thomas. 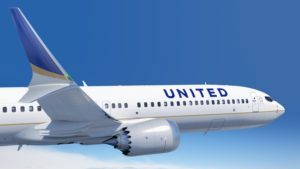 Customers in Louisiana and Texas looking for another way to get to Cancun, Mexico, can choose United’s new weekend seasonal service from New Orleans and San Antonio beginning June 9. This fall, United will launch nonstop service between San Francisco and Pape’ete, the capital of Tahiti, the South Pacific’s gateway to more than 118 islands in French Polynesia, including Bora Bora, Moorea, the Marquesas and Raiatea. United is the only U.S. carrier offering nonstop service to Tahiti from the mainland United States and will connect customers to the South Pacific’s white sand beaches, stunning turquoise lagoons, coral atolls and volcanic mountain peaks. Visitors to the islands experience a tropical paradise with countless spaces to relax and reconnect in natural beauty and authentic French Polynesian island culture. Customers can now book nonstop service from San Francisco to Pape’ete’s Fa’a’a International Airport for travel beginning October 30, 2018, through March 28, 2019. For more information, reach out to your preferred Travel Advisor at Steele Luxury Travel.